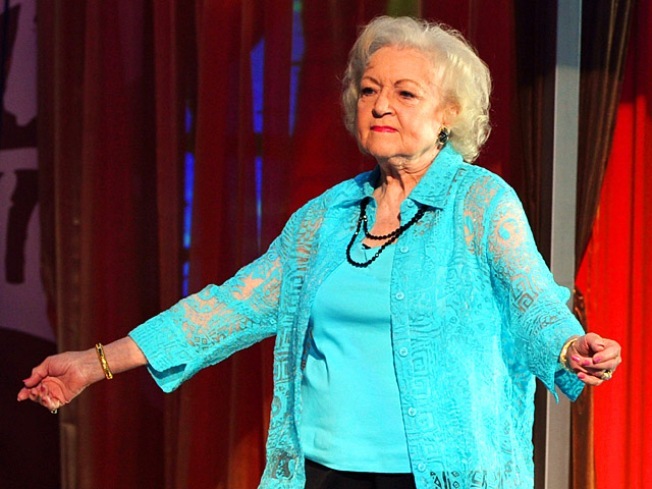 Actress Betty White speaks onstage during the 2010 Teen Choice Awards at Gibson Amphitheatre on August 8, 2010 in Universal City, California. 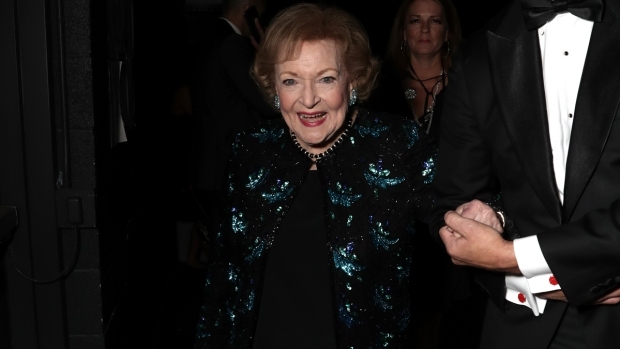 Betty White can add another Emmy to her collection. She won number seven for outstanding guest actress in a comedy series for hosting Saturday Night Live. The 88-year-old sensation beat out Jane Lynch for her guest role in Two and a Half Men, and Kristen Chenoweth's guest performance in Glee at the Creative Arts Emmy Awards held Saturday in Los Angeles, reported The Hollywood Reporter. White tickled audiences with her potty mouth and sexual innuendos in the Mother's day edition, which earned the show's highest ratings of the season. In one memorable skit, SNL alumni Molly Shannon and Anna Gasteyer revived their double entendre NPR talk show, Delicious Dish. “If there’s one thing I’m known for, it’s my muffin,” joked White. White has been riding the wave of a landmark year. Her hit new comedy series, "Hot in Cleveland" was just renewed for a second season, she has two books in the works, and will play a recurring role on NBC's Community. White got the "SNL" hosting gig after a social media campaign on Facebook where more than half a million fans convinced producer Lorne Michaels to give Betty the job. In her opening monologue for the show, White said before the campaign she had never heard of Facebook. "And now that I do know what it is," she said, "I have to say it sounds like a huge waste of time." Other winners at the Creative Arts Emmys included Neil Patrick Harris for his guest spot on Glee, John Lithgow took the statue for outstanding guest actor in a drama series for his season-long role in Dexter, and Ryan Seacreast was honored as a producer for Jamie Oliver's Food Revolution. The primetime Emmy Awards hosted by Jimmy Fallon will air Sunday, Aug. 28 at 8pm ET on NBC.